MusicalGod | Exploring the intersection of faith and music. Making connections. Challenging misconceptions. Discovering the First Musician, our MusicalGod. Watch this video on the problem with scientific research that is deliberately fraudulent, or perhaps merely “not replicable,” or simply false. Then ask yourself: could something of this nature be true in papers and academic endeavors where there is too much pressure on academics to create something, whether it really makes sense or not, so that they can gain some career objective or other? Of course, the academic assessment industry will say that “peer review” should take care of the problem. The problem with that idea is that all of those false or fraudulent scientific papers discussed in the video were also peer reviewed. And if the putatively objective nature of science, backstopped by peer review of “objective scientists,” can’t stop garbage from getting into the journals (and no one should assume that withdrawn papers are the only false or fraudulent ones that got published…. ), then how much worse is the problem in the far more subjective “words about words” academic disciplines, especially those whose academic work is largely talking about what other people have said? Some of these are disciplines where the concept of truth itself has been frequently challenged. When peer review is done by people who share the “foundational expertise” of the discipline, the problem is bad enough. How bad is it when the review is done by people without that background? Peer review, it turns out, may just be another way of deciding who gets to stay on the island…. which is often based far more in form than in substance. How many original ideas are there likely to be? How many people are likely to have them? Should the only people allowed to teach in higher education be people who have original ideas that pass peer review, especially when those original ideas may not even be central to the discipline being taught? The application of all of this to the evaluation of “faith integration in music” for music faculty may be obvious to the reader. 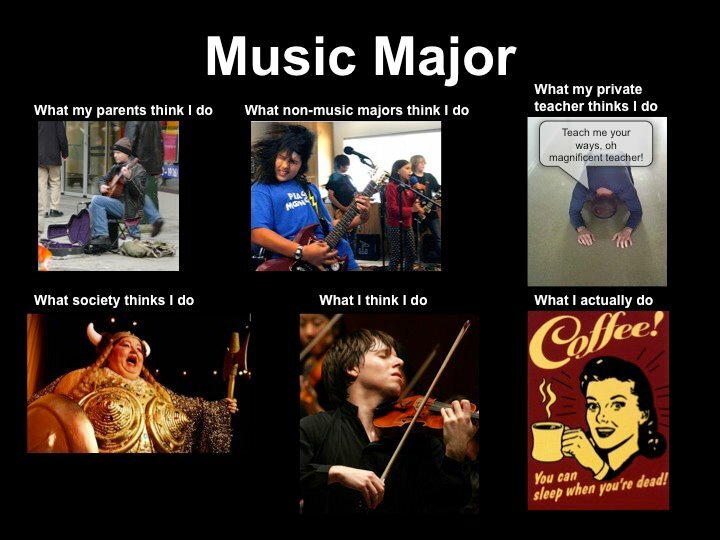 Hint: it automatically involves “peer review” by people who are not professional musicians. You can find me selling faith integration bibliographies with possible musical connections out of my trunk in the faculty parking lot. Come early. Supplies are limited. Feel free to quote me. This blog is not peer reviewed…. but may be true anyway. Unfortunately, Akismet, the spam filter this site uses, is not catching everything that needs to be caught before it gets posted in comments. So, sadly, I’ve decided that I need to moderate all “first time” commenters. If you’re posting a comment for the first time, it won’t get posted until it’s approved. After you’ve had one comment approved, normally your comments won’t be moderated after that. I’m reading this now. I’ll have a review when I’m finished…. which may take a bit. I confess to being skeptical that there is anything new here. But maybe. As I’ve written elsewhere, God is the Being who exists alone in His category… whatever that might be. We know a little. We are tempted to say that God is infinitely present, powerful, intelligent, and good. These ideas are more Greek than anything, because they were in love with philosophical absolutes. But using those categories can deceive us if we are incautious, because it allows us to pretend that we know more than we do. In His initial communication with humans, God seems not to have tried to “name” Himself, or describe Himself, or apply adjectives to Himself in an attempt to make Himself known to His people. He said, “I am who I am,” or, “I will be who I will be,” or, “I am that I am,” depending on whose translation you believe. He made Himself known by His deeds more than by His self-description, though there isn’t necessarily a rigid line between the two. Start reading from Genesis 1, and notice how long it is before God applies adjectives to Himself. The Scripture simply points out that God is above everything else that can be named in any of those categories, far, far above, and leaves it at that. It does not say precisely that God knows everything (and how humans could even understand what it means to make the statement is beyond me…). What is “everything”? Everything that can be known? Everything that matters? Everything that will ever be? Everything that might have been? There are things that fit in one of these categories, but perhaps not in another. Does God know anything that cannot be known? It seems to me that to claim there is nothing that God does not know is as much a statement about the nature of reality as it is about the nature of God, and it places limits on the type of reality God is “allowed” to have created, according to our theories. That’s what’s behind the old kid’s question, “Can God make a rock so big that He can’t lift it?” In other words, there can be conflicts between infinite characteristics, as we understand infinities. If God knows everything, particularly the future in an exhaustive way, does it have to mean that he wasn’t powerful enough to make a Universe where He didn’t? Or is it merely that He decided not to make such a universe? Could God destroy the universe, then forget He ever made it? If not, his power is limited. If He could do this, His knowledge would be limited after He forgot having made the universe. Do we limit God (our understanding of Him, that is) by insisting on infinities whose definition and nature we cannot grasp? Nowhere does scripture tell us that God is only enormously, or “infinitely,” powerful, intelligent, good, just, loving, immortal, present, etc. Those are only the “aspects of God” that relate to humans directly, because there is some analogy from these “attributes of God” to the far lesser parallels in human beings. That is, humans are present in a place, have some intelligence, some power, some moral status, some lifetime, etc., so the parallel of “God’s version” of those characteristics may tell us something about both ourselves and Him. But the Orthodox remind us that God is other from us, and probably has unseen, unknowable, and unguessable aspects, attributes, and character that may interact within the Godhead in various ways, including with those attributes listed above, in ways that again demonstrate the folly of humans trying to think they have “captured” God with some set of concepts. God is a PERSON, who has graciously allowed us to know what is surely only a small part of his essence or character, in those attributes we can imagine, and to which we can relate in our finiteness. And that is what makes the Incarnation so completely breathtaking. The Incarnation was a huge sacrifice in itself, before there was a Crucifixion. He shed so much of that Magnificence to become one of us, and disclose Himself to us more fully. Could this life be merely a sort of boot camp, to prepare us to accept more of His self-disclosure in the next? A very poor analogy might be that many of us engage in occupations or recreational activities that we literally could not explain to a person from five thousand years ago, and any attempt to make the explanation would be bound to create misunderstanding. I suspect our attempts to “describe” God aren’t much better. We can say what He did, and we can say what He reveals to us (in scripture, in the “general” revelation of nature, and via the Spirit), but we cannot say with either precision or completeness what He IS, only that He is. Of course, some of the contradictions mentioned earlier, caused by dueling infinities, are perhaps less real than apparent. We simply don’t know. We can manipulate concepts of “infinities” mathematically, and symbolically, but that doesn’t mean humans can grasp them. We should exercise some degree of humility. God is unique, and probably “infinite” in some sense(s), but we don’t really know what that means, and while it may comfort us to say it, it is probably semantically null. We, on the other hand, are exceedingly finite, marginally stupid, and pretty weak. From this flows a basic principle. Analogies involving humans and God flow basically in only one way, and produce distortions, ranging from risible to terrible, when applied in the wrong direction. We can “compare” ourselves to God in a meaningful way, but we cannot compare God to ourselves without committing a very fundamental category error. There may be small exceptions to this. We may learn something about love by watching humans interact, and from that we may speculate about God’s love. But since every human aspect is finite, when our reasoning involves trying to place limits on God that flow from our human perceptions of each other, and from what we understand of the nature of “knowledge,” or “power,” or “justice,” or “love,” we have surely erred. What passes for skeptical argument against the existence of God, the goodness of God, or the power of God usually flows from trying to place human limits on God, that is, analogizing from humanity to God, or from the creation itself to God. But it all flows the other way. We are what we are because God is what He is. Creation is what it is for the same reasons. This is why it’s so ludicrous for naturalists to sneer at the notion that God might have made the entire universe just for us. They want to know, why is it so ridiculously huge? Why spend 13.7 billion years getting it ready for us? But surely our understanding of God’s motives in this instance is limited by how humans do things, and how they have to do them. On the other hand, if you happen to be God, taking 13.7 billion years to get the place ready for the renters may just seem like a good way to do things, satisfying some “aesthetic” sensibility or concept. And really now, is there any reason to think the universe seems all that huge to God? Is He impressed with the size of it? Is He awed with Himself and the Creation? It’s pretty foolish to impose human categories and “sense of scale” onto God. I expect that ants are awed with the size of the White House lawn. I suppose I would be too, if I had to mow it. One way to say this is that even if we attempt to “analyze” God in a functional way, we could not move from that analysis to a resynthesis of Him, because whatever parts or aspects of God we can separate out do not add up to the PERSON that He is. None of this means that it is a bad idea to analyze what we can of God, or of music. It means we should be humble about it, accepting that there is a whole which we cannot vivisect in order to truly understand it. While we cannot kill God by making this analysis, we can certainly kill our experience of God by believing too much in our analysis, and not enough in the person of God. And if we believe that our analysis of various aspects of music has somehow captured its essence, we run the risk of killing our ability to experience it properly, as well. One other observation about music: essentially every other “advanced human activity” has its roots in something far simpler, and immediately practical and useful for survival in that first, simplest expression. Art may have grown from the ability to scratch in the dirt to create simple representations (“Johnny, if you see one of these, run!”), the ability to shape clay to make pots, the making of clothing from animal skins and fibrous plants, the making of weapons (stone flaking) and so on. The utility of even very simple language for cooperation in practical tasks is obvious. If you can count, you can estimate the number of animals in the herd, the number of opponents you face, or the amount of food you need for the winter. If you can measure, you can judge how much water to carry, how long the spear should be, and so on. Dancing developed and celebrated the skills of hunters, warriors, and possibly those seeking a mate. If you can dance, you’re healthy and coordinated, and more desirable. What can you do if you can sing? Or if you can tell if someone else is “doing it right”? Or if you’ve spent your time learning to play the lute, or the flute, instead of how to throw spears or make clothing? And how is that immediately useful? What benefit does it confer? From what simpler ability that IS useful for survival does music spring? Music is the most useless of human activities, yet paradoxically, the mastery of it requires great coordination, sensitive aural perceptions, truly incredible amounts of practice (putting almost anything else to shame in the precision it requires), intellectual power and subtlety. It literally takes a lifetime, in a way that most other things do not, to master it. And even then, there is always something new to learn. This new learning is NOT merely additional facts and knowledge, or additional skills, though those things are true, too, but uniquely musical learning/development/growth that reflects the characteristically integrative nature of music, with a bit of “new learning” involving facts, relationships or theories, skills, perceptions, etc., all related to an internalized musical structure that resists being pulled apart into its components. More discussion of this is at the links on art, mathematics, language, and communication. Did God make us love music, and want to do it, so that we would train our minds, coordination, perceptions, and so on, “saving them” in culture, so to speak, for a later time when such precision would be required? Are there new skills and capacities humans will develop in coming centuries or millennia, of which music is a mere hint, or perhaps only a part, in the same way that the ability to scratch in the dirt and recognize simple signs and pictographic images was a mere hint of the richness of written language and mathematics, that would not be developed for many thousands of years? What capacities has God built into us, of which we know nothing yet? Music is a uniquely integrative thing, involving at its highest levels nearly every intellectual, physical, perceptual and expressive capacity of a human being, all integrated around a single thing/activity/experience. At its best, it uses essentially all of a person to “do” it. All of which gives rise to another speculation: did God make us love music, and create the capacity for it, so that His people would be able to use it to preserve the oral tradition of His revelation and historical activity among them, until they developed the tools to write it all down? I memorized 150 lines of Wordsworth in high school, and it’s all gone now. But I still know the words to any song that I sing once a month or so. I am quite confident that my children sing the same words to many songs that were sung in the 19th century, and have little doubt that their grandchildren will do the same. To me, this makes the notion of a very reliable and accurate “oral tradition” far more likely than it may seem at first glance. To the main point: music may be an example of a thing that is “alone in its category,” and reminding ourselves of the limitations on analogies between music and art, math, language or communication may help us avoid the far more serious error of seeing God as a really big, powerful, smart, good, immortal human, as if we “share a category” with Him. And perhaps that’s what makes music such an appropriate vehicle for the worship of God. A theologian friend of mine who read a draft of this post had another comment, that “God is personal, and music is personal.” I think the idea is to remind us that God is not merely the embodiment of infinite principles, but rather is the Person from whom those principles flow. The analogy of music to this is that music is one thing, a personal thing, that can only be done by and with persons, but out of which all these other relationships flow involving perception, skills, intellect, expression, etc. As interesting as speculation about music’s role in the preservation of the revelation and history may be, the first mention of music in the Bible involves Jubal, an instrumentalist. So choral directors should not be too smug. But: can you imagine getting to hear Jesus sing? There wouldn’t be a dry eye in the house. But they would be tears of inexpressible joy. I have the feeling that, being Jesus, He would soon be inviting us to sing and play along. New place for MusicalGod is here. This site, on Blogspot, will still be here for awhile, until the links between articles on this site have been fixed on the new one. I can relax now, because Mike said this just right. I literally have nothing to add, and when this topic comes up again, I’ll refer them here. Full text at the link below, or just read the quote. Then go practice. The Breath of God in Broken Pieces: On Jazz at Addison Road: “The beauty of Jazz is this; Coltrane, and Monk, and McCoy Tyner, and Ella, they all dance the same twelve steps that Bach, Mozart, and Handel danced. That’s it. That’s all we get, the same twelve steps. They all get a fixed amount of time, from first note to last breath, and they all break it down into groups of two and three. That’s it. Just twos and threes. We who create in this world are working with someone else’s clay. We aren’t creating, we’re recreating. We act in the way that our Father taught us to act, when he breathed into us his image. From that moment on, we set about the mystic task of gathering dust, adding water, and recreating. Jazz is an infinite statement of recreation. It lives, as all music does, within the brutal confines of physical constraints; the fifth note of any scale always has the same relationship to the first note, because the alternating series of high and low pressures in the sound wave follow fixed and eternal rules, and those rules force it to function in that way. The beauty of Jazz is that it finds its freedom, its limitless expression of human experience, within the confines of that fixed structure. I know I’m not the first to say this, but Christmas music is among my very favorite music. So much of it is just so right. Unlike so many songs where the music seems to be just a stylistically neutral vehicle for the words, Christmas music often exhibits a nearly perfect wedding of text and music (within the limitations of the strophic paradigm, of course). I sang (try not to laugh) in my small local church choir for Christmas. We do OK for what we are, a group of amateurs with limited rehearsal time, and lots of enthusiasm. But we were elevated beyond our ensemble’s ability by the material we sang. And hardened musical warrior that I am, I confess to a few chills here and there in especially nice spots in the music. Now, don’t get me wrong: if you’ve read previous posts here, you know that I’m deeply skeptical of communication in music. But I will say that the musical elements in many Christmas songs are ones that I respond to: modal elements, particular melodic turns that support the lyric, and so on. And let’s face it, the lyrics of many Christmas songs are just among the very best. On the other hand, maybe it’s just because I grew up hearing this particular music in especially happy and meaningful times. However, there’s plenty of other music that I don’t like for which I should have equally good associations. So I have to believe it has something to do with the quality of the music. OK, it’s a bad pun. I’m the “faith integration mentor” for the School of Music at Azusa Pacific University, but I also teach music theory (lower and upper division, a little of each), composition, commercial music and music technology. 1) How to do faith integration in music myself! 2) How to help my fellow music faculty navigate the institutional pressures to do this in some recognizable way while retaining their own personal integrity and professionalism in teaching. 3) How to communicate to faculty from other disciplines that, for the most part, approaches to faith/learning integration they’ve used won’t work as well in music, or will work to music’s detriment. What IS faith integration in music? Is this any different than the use of music as an evangelistic tool? Or is it just a theology of music? There seem to be lots of people who are willing to say what faith integration is NOT, but aren’t willing to say just what it IS. Why is this? 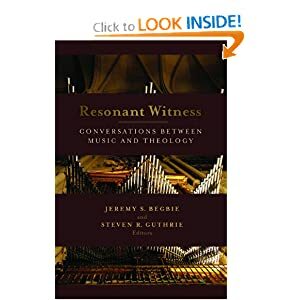 1) There is a way to apply it (the “better understanding”) to teaching music (especially instrumental music, music theory, and choral music with non-religious text) that makes the experience more musical, not less. 2) The departure from norms of teaching these things (which do not include “faith integration” as understood in non-musical disciplines, or we wouldn’t be having this discussion) is not “pro forma” or an obvious “add on”, just to say we did it. To me, the whole notion of integration implies a new wholeness that comes about as a result of multiple inputs. It is not a synonym for mixture, blend, or combination. Integration implies a mutual interactivity, more like the issue of multiple streams of genetic influence than chemical mixture (although a close analogy might be chemical compounds with notably different properties than any of the constituent elements). Who could have predicted salt from knowing the properties of chlorine and sodium? However, working backwards from understanding the crystalline structure and properties of salt, we do have a better chance of understanding some aspects of the two elements. Ideally, a successful integration of faith and music will be like that. It will help us to know things about music and things about faith that we don’t know without the integration, or don’t understand as well. Having said all this, I’m very uncomfortable with this language of “theories”, and “knowing”, and “understanding”. I think both faith and music exist as integrations in and of themselves, in ways that are analogous to one another, but quite different, of course. One way they’re similar is that neither is fundamentally about “knowing”, “understanding” or “theory”, though elements of these things exist in both, of course. Nevertheless, if the only way we can express their integration is in the language of “knowing”, “understanding” or “theory”, we have settled for the most shallow expressions of both faith and music as being demonstrative of the integration we seek…. surely a disappointing outcome. Sadly, it is precisely, and only, that narrow way of knowing that can be verbalized or appear in print. Integration of the sort we are discussing happens only within a person. It cannot happen in mere content which is accessible to anyone who can read and has a general education. Is it possible for music to inform faith, or only vice versa? (Again, we aren’t talking about lyrics, we’re talking about music. ) Interesting link on theology and the arts (not necessarily the same thing as “faith integration”). If so, should music be limited only to that which does inform or support faith? Is music primarily a tool to be used in the service of faith? Or is it something more? If it is something more, how do we let it be what it can be, without making an idol of it?